If you are considering a bathroom remodel is always good to keep up to date with the latest bathroom trends. A great site for that is houzz.com. Not only do they have thousands of bathroom images that can be filtered and searched through but they have a great forum for asking questions and well written articles like the one embedded below. Be careful which bathroom trends you try and mimic though… you don’t want to chose a trend that becomes the shag carpet of our era! In general chose trends that you find attractive and make sense for your budget and lifestyle. Rule One: If you can afford to remodel your bathroom every 5 years, do whatever you want! But if you are like the rest of us and may only remodel once or twice in your lifetime then stick to Rule # 2: If something is hard to change (like tile or a bathtub) be conservative in your style choices. If it is easy to change (think paint, faucets and vanities) then you can be a little more daring. Wood walls, either shiplap walls or tongue and groove really give a bathroom a spa like feel. You’ll want a decent sized bathroom to pull this off though. 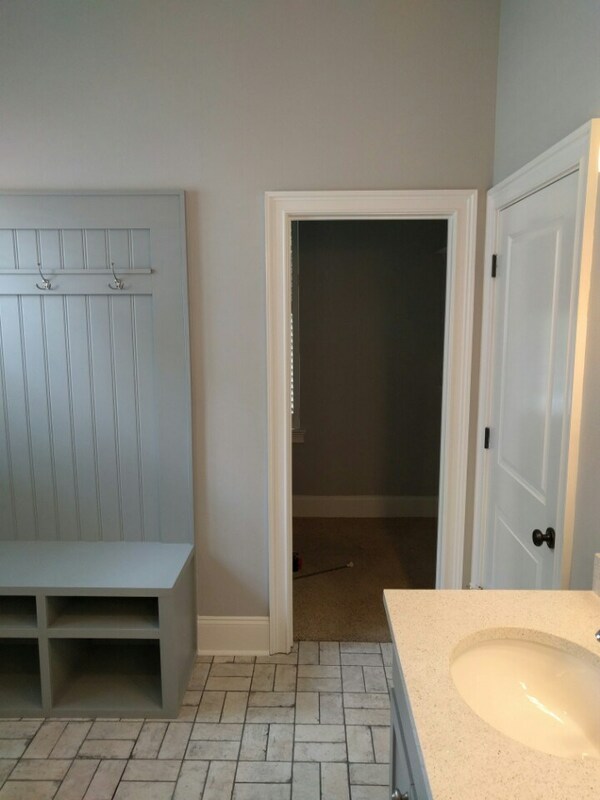 We like being conservative with tile colors, except for maybe an accent strip or two. But you can lay tile in all kinds of patterns and even a plain white subway tile looks fantastic in a herringbone or basket weave pattern. This look is not for everyone but we love it.